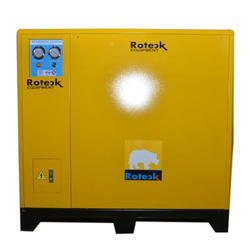 Providing you the best range of air dryers for automotive industry with effective & timely delivery. With firm commitment to quality, we are engaged in manufacturing, supplying, trading and exporting a comprehensive range of Air Dryers for Automotive Industry. These dryers are engineered at our wide manufacturing plant which is outfitted with high performing machines and latest techniques. Furthermore, it is our duty to check the products on defined parameters so as to ensure that only flawless consignments get delivered at clients’ site.